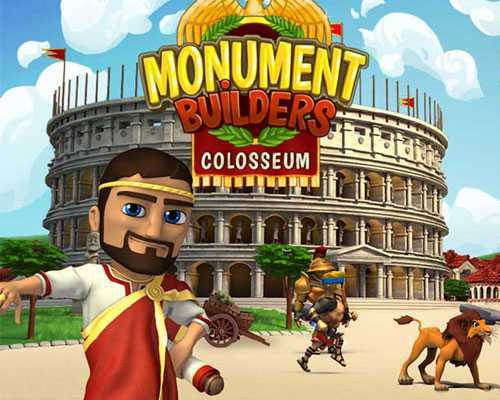 Monument Builders Colosseum is a Time Management game for PC published by Gravity Europe SAS in 2013. Build the amphitheater of Rome! You will be in ancient Rome with lots of duties. The kingdom has requested you to build the biggest amphitheater of history named Colosseum. It depends on your abilities that how long will it take to finish this building. Colosseum should be much different from the other buildings. So you have to try hard to hire good workers. There are also some characters that will help the player at Monument Builders Colosseum. If you want to grow faster, Use their helps as much as possible. There will be many problems on this way too. For example, Wild animals may attack to the workers. You should guarantee their safety at this amphitheater. It’s 18th century. There aren’t modern equipment to build faster. You can choose your own items to do this job. If you use your mind well, This job may finish faster. Players have to manage the resources at Monument Builders Colosseum too. Because these resources are really valuable. If you collect them at the right time, You won’t need any extra items to buy from the store. There is another duty for the players too. Removing the roads from obstacles! There are fifty levels in total at this time management game. The story has been written by the history. But the atmosphere isn’t serious. Developers have tried to make the environments much funny. Start your business. Turn into an honorable businessman of the history! OS: Windows XP or better. Processor Speed: 1GHz or better. Video RAM: 256 MB or more. 0 Comments ON " Monument Builders Colosseum Download "